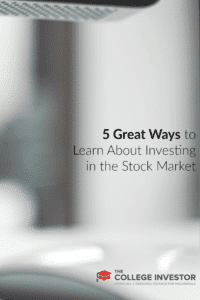 You want to learn about investing in the stock market — but you just don’t know where to start. There’s so much information out there that learning basic stock market investing seems overwhelming. I know this because I’ve been in this exact same position, too. If one of your goals for the new year is to begin investing, you need to do a little research before putting your money in the stock market. Since investing in the stock market happens to be one of my New Year’s resolutions, I have started performing some research so that I can select the best investing approach for me. 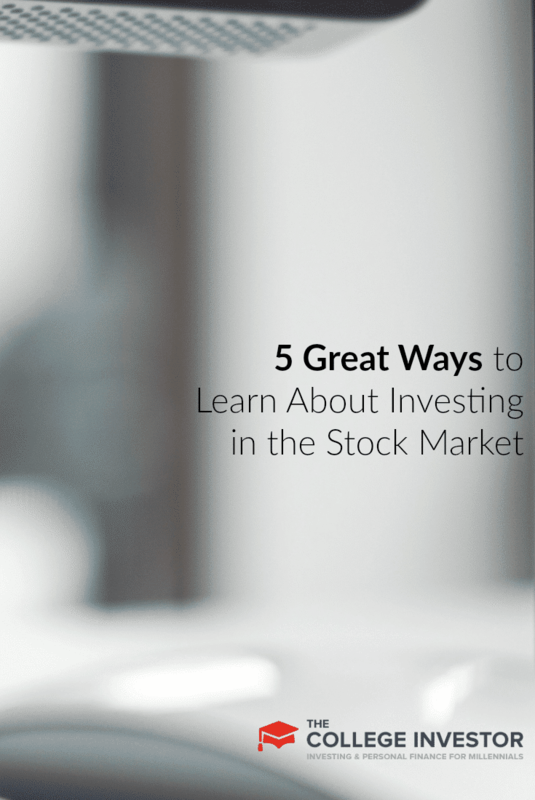 If you’ve yet to familiarize yourself with the basic concepts of investing in the stock market, here are five ways to learn about investing in the stock market. I, for one, always start with a reputable book if I’m in the market to learn something new. I feel like a book on the basics can help you build a solid foundation to work off of. If you’re looking to understand the basic concepts of stock market investing I highly recommend The Neatest Little Guide to Stock Market Investing by Jason Kelly. I recently finished this book and found it to be the easiest to understand book out of everything I’ve read regarding investing. This book is what truly helped me to understand basic concepts of stock market investing and has helped me to form a plan. I’m sure there are plenty of other great books on stock market investing out there, just be sure to perform your due diligence before selecting one. Be sure to get recommendations from friends and family. Also don’t forget to read customer reviews. Another great option to help you learn about stock market investing are online courses. A good online course like The College Investor’s Investing 101 can help you understand basic stock market investing and is particularly good for a person who prefers visual learning. Our course is video-based, and you can simply follow along to open your first investment account. The benefits of choosing an investing course are that you can set your own pace and take the time to really comprehend what you’re being taught. A good investing course can help you identify your investing goals and make a plan to reach them. A stock market simulator is just as it sounds: a program that simulates the stock market. It’s basically an investing game that lets you practice investing in the stock market. By using a stock market simulator, you can test the waters without risking any money. You can find several stock simulators online and there are even investing apps you can download for your smartphone. Sometimes they are called “paper money trading” apps or something similar, but they all do the same thing. I would highly suggest learning basic concepts of stock market investing before trying one of the simulators. I tried one of these years ago and was completely confused because I didn’t understand the basics. A little self-education will go a long way. Once you get the basics down, a good investing forum can help you learn advanced strategies if you wish to do so. When you engage in forums you’ll be able to interact with other investors, read about their strategies, and ask questions if you have them. Just be sure to do research to ensure that you’re joining a good forum with good information. If a forum isn’t for you, we put together a list of the top investing blogs and websites every year. Check it out. There are countless free articles on stock market investing on the internet. Just be sure you’re getting advice from a reputable site. There are also social networks for investing where you can follow other traders and investors online. Websites that are focused on investing concepts can be valuable resources for you. However, if you’re just beginning it may be best to choose a book or course to start with. An investing book or course will have the information you need laid out in an organized manner that can better help you to understand. If you need to look up information on a specific concept or are looking for ideas on advanced trading strategies the internet can be of huge help. Investing in the stock market can be scary but doesn’t have to be. If you’re itching to start investing this year, make sure you take the time to learn about what you’re doing. You need to identify your goals and make a plan to reach them. Take it slow and learn all the basics before putting your money into the stock market. The more you educate yourself the better chance you’ll have at making decisions that coincide with your long-term goals. Everyone learns how to invest differently. How did you learn how to start investing?